If you haven't visited our forthcoming releases database, Incoming, recently, please take the time to browse the new listings, and take advantage of the best pre-release prices from our affiliated etailers! Thanks! 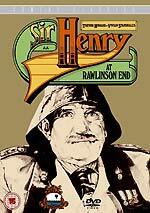 Digital Classics will release Vivian Stanshall's comic masterpiece Sir Henry at Rawlinson End on DVD on October the 30th. The film was the eventual result of a radio play being developed by the Bonzo Dog Doo Dah Band founder for his friend John Peel. The movie features Trevor Howard, as Sir Henry, Patrick Magee and Harry Fowler. The disc will feature a commentary track by director Steve Roberts, and actors Sheila Reid and Jeremy Childs, a picture gallery, trailer and "trivia". The disc will feature English HoH subtitles. It has an RRP of £14.99. 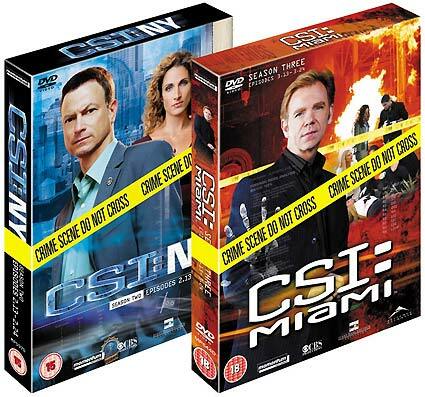 Momentum will release the next CSI: Miami and CSI: New York DVD sets on October the 23rd. CSI: Miami - Season 3 Episodes 3.13-3.24 is a three-disc set, featuring episodes from the 2004-5 season. Bonus features include a commentary track for Whacked, the penultimate episode of the season, by co-writer Ann Donahue; and three featurettes (Medical Examiner School (13m), CSI: Miami - Delivering the Goods (13m) and CSI: Miami Locations - Coast To Coast (11m)). The episodes are presented in anamorphic 16:9 widescreen format, and have Dolby Digital 5.1 audio (at 448kbps) and optional English subtitles. The RRP is £39.99. CSI: NY - Season 2 Episodes 2.13-3.24 is also a three-disc set, this time featuring episodes from the 2005-6 season. The bonus features include four featurettes: A New Look From the 35th Floor - CSI NY Set Tour (8m), Top of the Heap: The Cast & Crew Look At Season 2 (10m); Heroes (7m) and Following the Finale (6m). The episodes are presented in anamorphic 16:9 widescreen format, and have Dolby Digital 5.1 audio (at 448kbps) and optional English subtitles. The RRP is £39.99. The eighteenth issue of Richard Klemensen's Hammer magazine Little Shoppe of Horrors is now available! 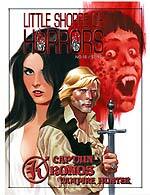 The issue features two late Hammer films, which were produced by The Avengers' Brian Clemens: Captain Kronos - Vampire Hunter and Dr Jekyll and Sister Hyde. Bruce G. Hallenback examines each film in detail, supported by interviews with people like Horst Janson, composer Laurie Johnson and veteran fight-arranger William Hobbs. Other articles include a look at Jacques Tourneur's Night of the Demon, and the second part of Wes Walker's look at Hammer's business dealings. The magazine will be available from specialist dealers (I got mine in the Cinema Store, in Covent Garden), or from the Little Shoppe of Horrors website.